Great news for WordPressers! We’re happy to announce that Popup Maker is now available in WordPress as a plugin! WordPress Popup Plugin – Popup Maker is easy to install and set up – just a few clicks and you’re ready to use Popup Maker in WordPress based websites! 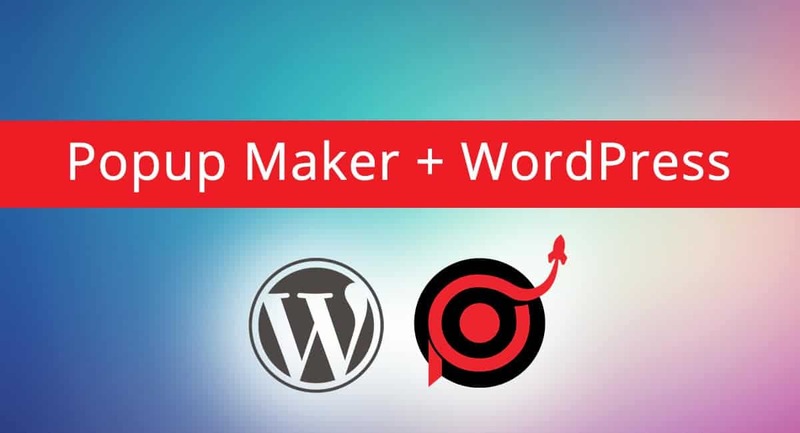 Simply connect the plugin to your Popup Maker service account via API key and generate the website popups to WordPress. How to connect the plugin to the service and where to get the API key from? You can find the API key in your Popup Maker service account. Just click to open the dropdown menu on the upper right corner of the page, and go to the Account settings section. You’ll find the API key here. Simply copy it and go back to the plugin. Now, the only thing you need to do is pasting the API key in the plugins certain section and connect it! The usage for the WordPress users has become super easy now. You can create the beautiful popups in the service and generate them into your WP Dashboard with just one click! Simply click “Refresh popup list” and you’ll see the popups in your WP Dashboard. You’re ready to add the popups to any page you wish on your site now! Use the options provided and select which pages and posts you wish to include – it’s all up to you! Previous Post:Popup Maker – Shopify Popup App Released!